A Pass to the City. There are two big barriers to students using SEPTA: cost and familiarity. Regular users know all too well that a monthly pass can be expensive on a student’s limited budget. Further, the current fare structure and payment methodologies are relatively complex for those arriving in Philadelphia for the first time. 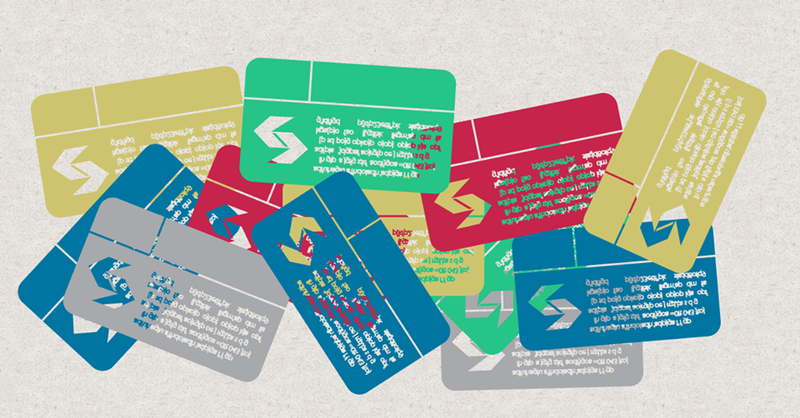 There’s a solution to this problem: the SEPTA Student Fare Discount Initiative. Under such a program, educational institutions in the Philadelphia area could partner with SEPTA to purchase SEPTA fares for their students at extraordinary discounts. Students get unlimited rides, schools can rely on SEPTA for class excursions, and SEPTA gets a massive revenue boost even at a discount upwards of 50%-75%. Further, because the fares would be funded from school budgets and directly-billed university tuition dollars, students would see no noticeable increase in cost-of-attendance, and the cost could be covered by financial aid if it’s beyond one’s expected family contribution. Once implemented, this program has the potential to benefit the greater Philadelphia area in many ways. Taking public transportation will become easier than ever. Imagine you’re a college student. You hear about something cool happening in Center City and are interested in going. You go to the nearest SEPTA station, tap your Student ID, and get on board. This is the future the SEPTA Youth Advisory Council envisions for students in the Greater Philadelphia region. Similar to fitness center privileges, the program would grant universal public transportation access to the entire student body at an institution. I love being able to visit Philadelphia, but the cost of transportation is an obstacle for me. I’d love to have the ability to access Philly with ease while here at Penn! A thriving business community relies on a thriving talent pool. According to a study from partner Campus Philly, almost 40 percent of Philadelphia college graduates— 33,600 potential employees— leave the city after graduation, taking their degrees, skills, and spending and taxation base with them. Most critically, research shows that students who had a high familiarity with Philadelphia during their college experience— whether through leisure, internships, or community service —were more likely to stay in Philadelphia after graduation. The Student Fare Discount Initiative streamlines this connection, enabling every single college student at a participating university unparalleled access and accessibility to the City of Philadelphia. As a freshman at St. Joe’s in 2004, I disliked what I knew of Philadelphia and was ready to transfer out, until I started riding SEPTA to explore different parts of the city. 12 years later, I’m still in the region, riding SEPTA almost every day to get virtually everywhere I need to be. I’m living proof that smart transportation investments like this will help keep students in the area before and well after they graduate. I missed out on CollegeFest because train tickets are too expensive on my student budget. Providing public transportation access facilitates community engagement and professional growth. Philadelphia is your classroom. Institutions will be able to open classroom doors to the extraordinary learning opportunities Philadelphia has to offer. For institutions in the City of Philadelphia, and especially suburban schools adjusting to the urban preferences of incoming college students, universal public transit access by virtue of holding a Student ID card becomes a powerful marketing and admissions recruitment tool to solidify connection with the city. As universities face challenges in justifying their community benefit, creating a culture of sustainability, and creating graduates who are career-ready, universal public transit access becomes a tool for civic engagement, seating students next to their neighbors, and creates opportunities for volunteering and employment at local businesses and non-profit organizations and attending civic meetings. In addressing parking issues and increasing numbers of students bringing cars to campus, universal transit access becomes a hallmark institutional sustainability initiative, provides an alternative, and instills sustainable transportation habits. Graduates become commuters on public transit and prolong the purchase/usage of private automobiles. As universities already include a transportation allowance in financial aid formulas for a student’s cost-of-attendance, no institutional funding is required to advance this initiative. In our view, a student fare discount program would seem to have numerous beneficiaries, [including] a sustainable future, supported by students and former students who have learned to engage in an urban area in meaningful ways while developing habits around the use of public transportation. Free transit for students and faculty would radically change the incentives for housing and land use in West Philadelphia and North Philadelphia, where the first few blocks beyond the campuses are increasingly an academic monoculture, rendering them unaffordable even as entire neighborhoods suffer through disinvestment and neglect a mere half-mile away. While not many students or faculty are specifically looking to move to Kingsessing or Carroll Park, a handful willing to try could do wonders for the stability of those neighborhoods, encouraging investment and slowing the displacement that is actually occurring in our city, which is driven much more by blight than by gentrification. Public transportation provides opportunities for everyone. The Student Fare Discount Initiative will allows opportunities to form relationships with neighbors, learn about the region they call home, and reduce congestion as students switch to public transit. 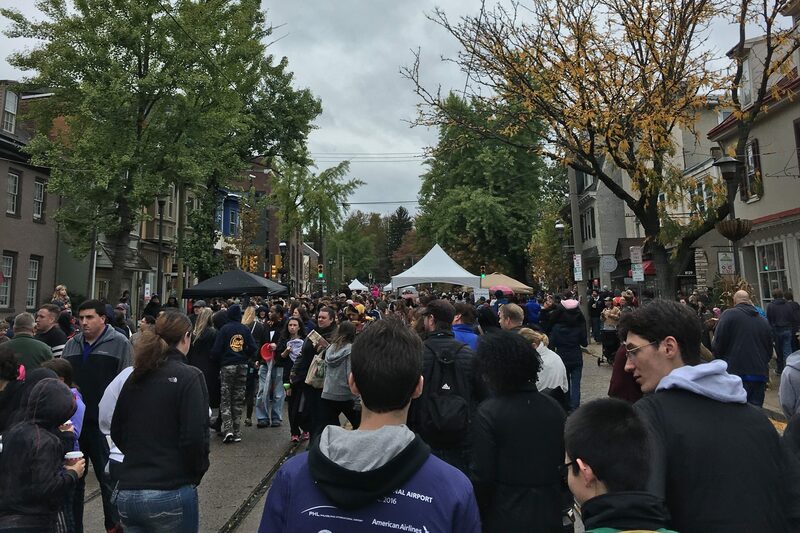 Millennial retainment (see: businesses), as well as responsible community engagement (see: colleges) ultimately benefit the Philadelphia community. I’m from the Philly area but am a student in Pittsburgh, and we have this setup with our transit company (Port Authority) and it is frankly one of the most fantastic parts of going to school here. It gives me access to more job and volunteer opportunities, and allows me to explore the city. I have more opportunities to make professional connections in the community before graduation, and may even be a serious deciding factor in whether I stay in Pittsburgh for grad school or go back to Philly. A no brainer to increase access, mobility, cleaner air, and familiarity with the city. Transit is the lifeblood of the city, and the more students we can connect to this service, the better off everyone will be. 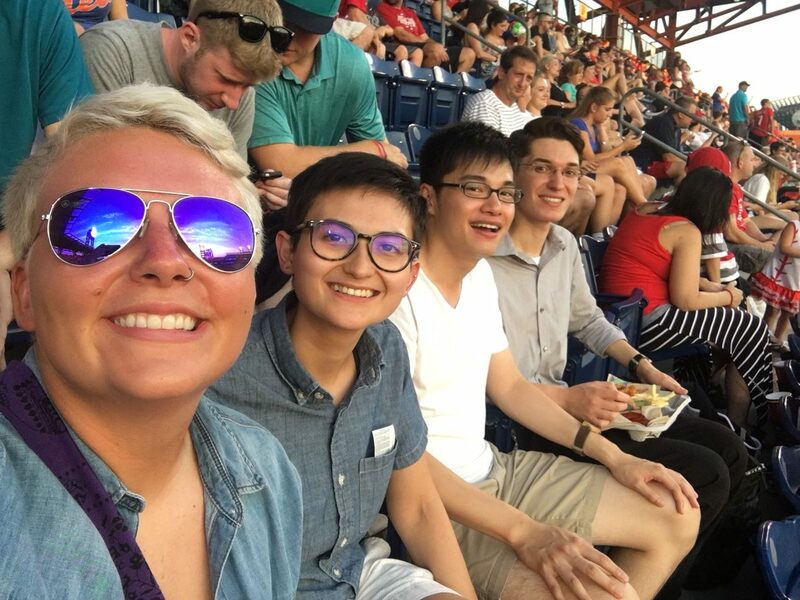 The SEPTA Youth Advisory Council is the organization charged with connecting SEPTA Leadership and the Greater Philadelphia region’s youth community. What is the Student Fare Discount Program? 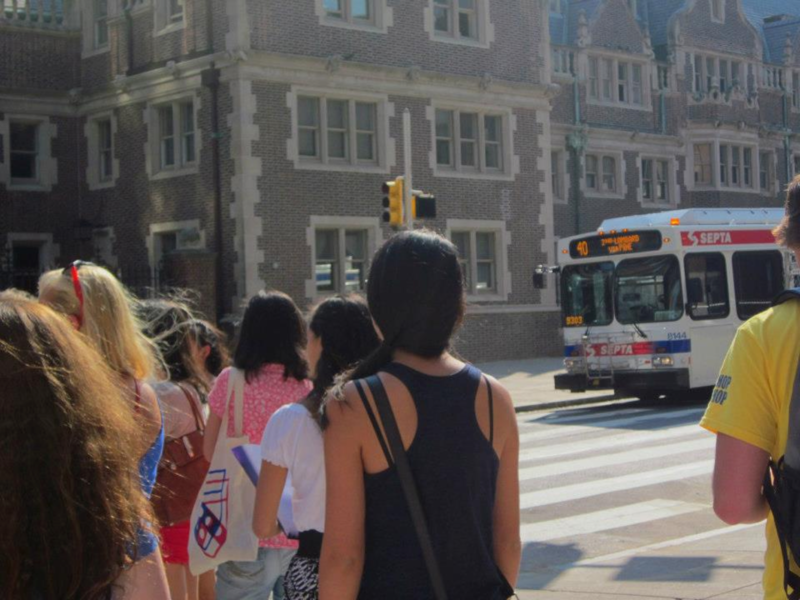 The Student Fare Discount Program is a potential program proposed by the SEPTA YAC to offer discounted SEPTA fares to college students beyond the current meager offerings. What discounts are currently offered? Students at only seven participating universities can save a trivial 10% off the cost of an expensive semester-long pass (akin to SEPTA’s employer-match program); all other individuals must pay the full adult fare. Is this program designed for residential or commuter students? This program is designed for residential students, who would disproportionately benefit from engagement with the City of Philadelphia and SEPTA. However, commuter students would often experience significant benefits as well. Take SEPTA’s college student survey, sign the YAC’s Change.org petition to show your support, and subscribe to our no-spam email list to stay up-to-date. If you’re between the ages of 16 and 22, apply for SEPTA YAC membership at http://septayac.com/join and attend our next plenary meeting (details on the SEPTA YAC homepage). If you’re over’22, please email [email protected]. I'd like to cover this story in the media. Great! Please email [email protected] to set up a time to speak. The SEPTA Youth Advisory Council is the organization charged with representing youth in the SEPTA Service Area to SEPTA Leadership as well as representing SEPTA Leadership to area youth. For more information about our initiatives, including our Student Fare Discount Program highlights, please visit http://septayac.com. For questions about our work, including media inquiries, please email [email protected]. (Optional) Tell us why Student Fare matters to you! Icons by Made by Made from the Noun Project. Additional content from I SEPTA Philly.